Even Taylor Swift is surprised about the new research that continues to debunk the theory that low-fat diets are the solution to our obesity epidemic. One of the more recent studies focuses on whole milk, and the findings that high-fat milk is actually healthier than low-fat. Clearly more studies need to focus on the evils of carbohydrates, sugars, and processed food in general. “Our original hypothesis was that children who drank high-fat milk, either whole milk or 2% would be heavier because they were consuming more saturated fat calories. We were really surprised when we looked at the data and it was very clear that within every ethnicity and every socioeconomic strata, that it was actually the opposite, that children who drank skim milk and 1% were heavier than those who drank 2% and whole,” says DeBoer, who is also the chair-elect for the AAP Committee on Nutrition. Related study from several years ago that points to a similar conclusion. ← Why were people so much healthier 150 years ago? 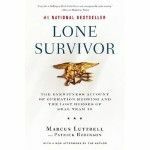 Lone Survivor – A True American Hero?